The Dryandras by Tony Cavanagh and Margaret Pieroni. 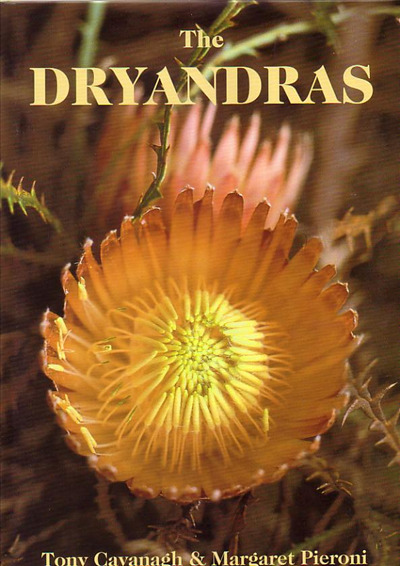 This book is the first definitive guide to all 135 Dryandra taxa and the first to provide comprehensive information on growing them as garden plants. For each, it includes a botanical description, distribution maps, conservation status, habitat including climate information and flowering period as well as cultivation and propagation information. Over 320 superb colour photographs are includes as well as line drawings of leaf, fruit and seedling. All line drawings and maps are the work of Margaret Pieroni, one of Australia's most talented botanical artists.